Once again I round up a list of ten Apple products that I did not get or wanted this past Christmas season. As I stated last year, my enthusiasm for Apple’s line-up of products have definitely waned since the days of my Mac Plus through the years using many other Macs such as the Quicksilver G4 and iBook 400. My two aging MacBook Pros are daily drivers that serve me well in various capacities. I hope these computers last several more years as primary devices. I bought into the iPods but in recent years have become disappointed in them not because they were not great devices, but mainly on the fact that their built in batteries are almost impossible to replace. The batteries die and I can’t take advantage of all the portability they were intended for. Instead I still use the perfectly capable iPods plugged into their chargers and USB ports as semi-permanent audio players attached to external amplification systems. The only iPod that still works as intended is my 2014 iPod Classic. The iPod Touch that I bought in 2010 that I so loved is slowly giving up the ghost. The battery holds a charge for less than a couple of minutes before it completely dies. 32-bit apps are no longer supported by Apple and several apps that I have installed on the device do not fully function as their publishers have moved on and don’t support them. This mainly applies to apps that access the internet. Lastly I have noticed a light gray mark in the background of the iPod Touch’s screen indicating that it may soon die. Truthfully as portable devices (phones) go, I have mostly migrated to Android because their devices are cheaper. The three phones (only one active with a carrier) I have feature easily replaceable batteries that no iOS device ever had. That said, if I were getting or wanted an Apple computer or device, these are the 10 that I would consider but for various reasons did not get this year. 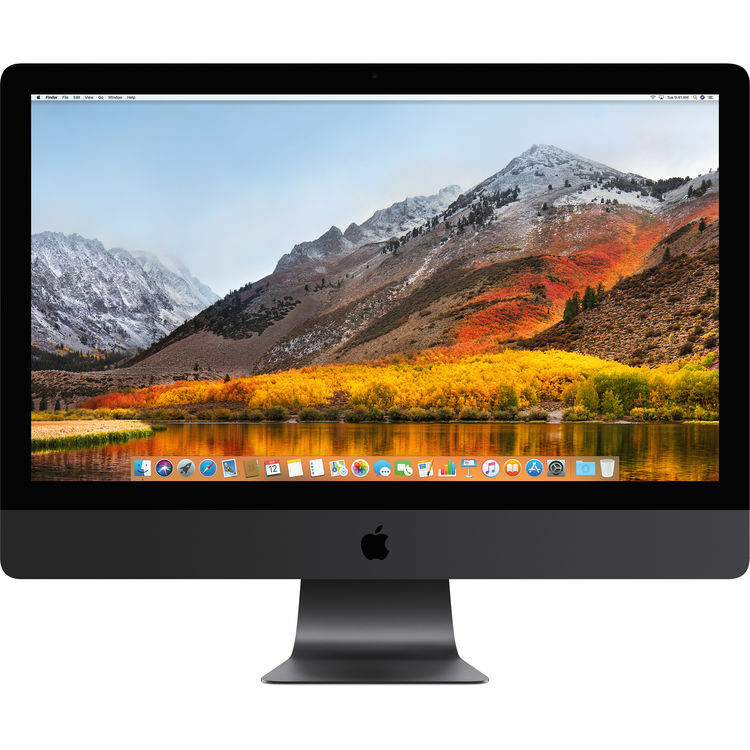 Apple iMac Pro: I am not the biggest fan of all in one desktops, but this new professional iMac has specs which should wow most Apple and computer enthusiasts: 27 inch 5K 5120 X 2880 resolution Retina display, 8, 10, or 18 core processor options, 32 gigabytes configurable to 64 to 128GB, standard 1TB SSD storage, standard Radeon Pro Vega 56 graphics processor, 1080P Facetime HD camera, stereo speakers, four microphones, and connection options for SDXC memory card, USB 3, Thunderbolt 3/USB-C, 100GB ethernet and drumroll please…. 3.5 mm headphone jack! It has built-in 802.11ac WiFi as weall as Bluetooth 4.2 wireless technology. It also comes with a “space gray Magic keyboard with numeric keypad”, Magic Mouse 2, lightning to USB cable and Power cord. The operating system is Apple’s lates macOS High Sierra. What’s not to like? Alas the $5000+ iMac Pro is probably overkill for my uses and is most definitely very high priced. iMac: Of course the iMac Pro is just way too expensive. My needs for a very powerful computer are not all that intensive, so as a compromise between a high end desktop or laptop, the standard, 27 inch iMac will probably do just fine. Apple upgraded the iMacs for 2017. They feature the same 27 inch, 5120 X 2880 resolution 5k Retina display as the prop model, and come with processor options of 3.4 GHz to 3.8 GHz. Memory starts at 8GB and can be ordered with 16, 32 or 64GB options. Storage is a standard “fusion drive”. I’d opt for at least a 512GB SSD. It’s got a decent graphics card, and comes with an HD Facetime camera, stereo speakers, built-in microphone and a 3.5mm audio output jack. Connections include SDXC memory card slot, 4 USB 3 ports and 2 Thunderbolt/USB-C ports plus a Gigabit ethernet port. WiFi and bluetooth are also standard along with a selection of keyboards and pointer options. Not bad with prices starting at $1799 and going up to $2299 for stock configurations. The iMac would be an ideal fit for the type of work that I do: Word processing, desktop and web publishing, audio creation and editing, photo editing, light video editing, database management, spreadsheets, archiving, file conversion, email, and general internet usage that include social media, audio and video streaming. MacBook Pro: I’m not all that enthused about getting a new MacBook Pro. This is due to the issues I brought up last year. No ethernet port, no internal DVD drive, no on-board ethernet, no SD card slot, touch bar instead of function keys for higher end models. I’m sure they are very capable computers and will best my current MacBook Pros. Still I miss the connectivity and a way to easily rip a CDs and DVDs. Yes, DVD drives are not included with the iMacs either. I’d miss them if I had to travel and still needed to rip or burn a DVD or CD from outside my home. Humbug to carry an external drive around. MacBook Air: Cute and affordable laptops. I’d get one if Chromebooks were not an option. Do I really need to run Mac apps on a laptop that I would probably only use for internet access and apps? I can do that much cheaper with a Chromebook. They have 2 USB 3 slots, analog output jack and surprise! An SDXC slot for photo memory cards. The price is reasonable at $999 for the low end model. You can get a good Chromebook for less than that and of course PC laptops have always been in this price area (or lower) too, but I would not recommend a Windows laptop. iPad: I’m going to bunch all of the iPads into this one paragraph. At one time I wanted to get one, but never did. My life has for the most part been OK without a tablet computer. As with all things running Apple’s iOS operating system, the iPad at its various levels, are very capable devices if media consumption is your main focus of computing here. While users can create stuff with them, for heavy duty work, a regular computer is much more practical. I also don’t like the fact that the batteries are built in and not easily replaceable. iPhones: The iPhones are beautiful, no doubt about it. But they are expensive. And frankly most people use them as pocket computers and cameras to take pictures, videos and access social media, text messaging, apps and games over making simple phone calls. Apple now features a wide range of iPhones at several price points, with low end models being holdovers from previous years. 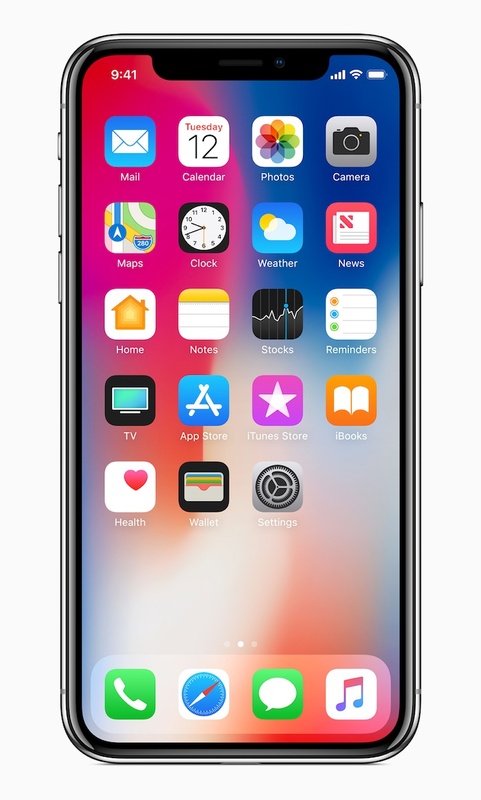 The most talked about iPhone is the iPhone X. The device which features an all touch interface with facial recognition technology, starts at a whopping $999 for the base model. A thousand dollars for a phone? I don’t think so! The lower end models start at around $399 on up. The iPhone 8 which along with the iPhone X was introduced this year, sells for $699 or $799 depending on screen size. You can buy 2 to 3 Chromebook computers for the price of an iPhone 8 or X. Pass. iPod: As 2017 came to a close the world saw only one model with the iPod name offered by Apple. The one and only iPod model in the line-up is the Apple iPod Touch, which is the same model that was offered last year and the year before. It’s a great device to use for playing songs from your iTunes music library, surfing the internet, and streaming media content. The device is also good for taking photos and videos. I would consider buying one if it had a user friendly, replaceable battery. It is the Apple iOS device I wish I could like. Apple TV: This is a nice device to stream your purchased video content, rent and buy movies through iTunes and watch streaming content on your HDTV through the internet. The device is affordable but I am not getting one anytime soon since I have no TV. Other Macs: It is highly recommended that the current models of the Mac Pro and Mac Mini be avoided since their last refresh was at least 4 years ago. Apple is set to introduce new models in the line for 2018. Apple Software and Services: My advice on these… get all of the free Apple operating system and application programs you can get. Best to keep up to date with the latest versions of macOS, iOS, iTunes and various other software titles. Apple makes some good stuff. Third party software developers also create good software and if you think something is great, by all means support the publishers and buy them. The subscription services offered by Apple are the ones that I have so far since their introduction, have avoided due to the monthly or annual costs. I am not a paid user of iCloud and don’t subscribe to Apple Music. There are other cloud storage and music options that have better pricing or are free to use. And there we go. As 2017 closes out into 2018, these are the Apple products that for better or worst I totally skipped (again) and opted to hold on to tried and true or actually go in other directions (Hello Chromebook and Android). This entry was posted in Commentary, Computers, iMac, iPad, iPhone, iPod, MacBook Air, MacBook Pro, MacOS, Technology and tagged Apple, Apple TV, apps, iOS, iPad, iPhone, iPod, Mac, Macintosh, MacOS, OSX, software. Bookmark the permalink.